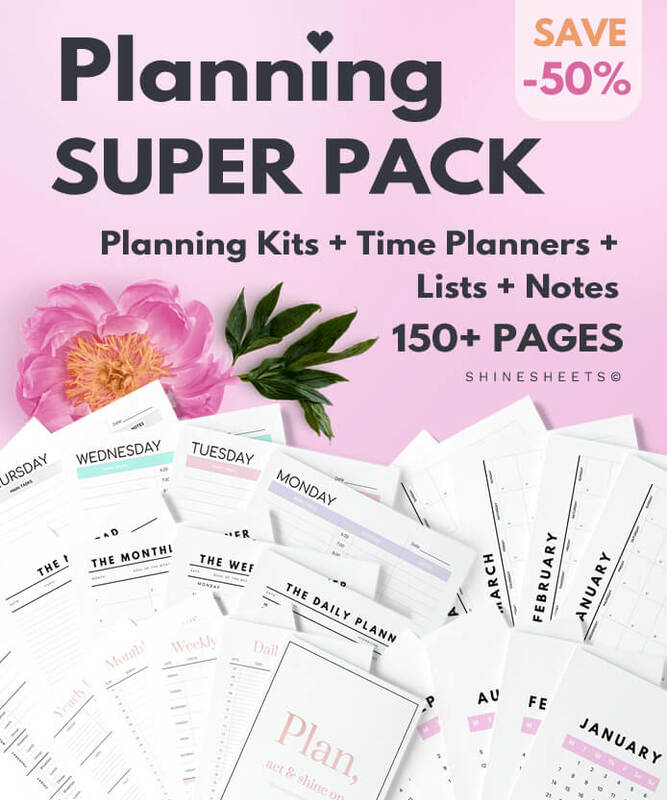 If you’re a busy worker who wants to get a little more organized (and less overwhelmed), this freebie might be just what you need today. You can print this weekly planner and keep it on your desktop to crush tasks, plan your schedules, meals and stay hydrated while you’re working at home or at work. Call it an everyday helper! Another way to use this planner is by printing 4 copies of every page and assembling a binder – this will serve you as a monthly planner. There’s so many options but I believe everyone can make this universal work for them. 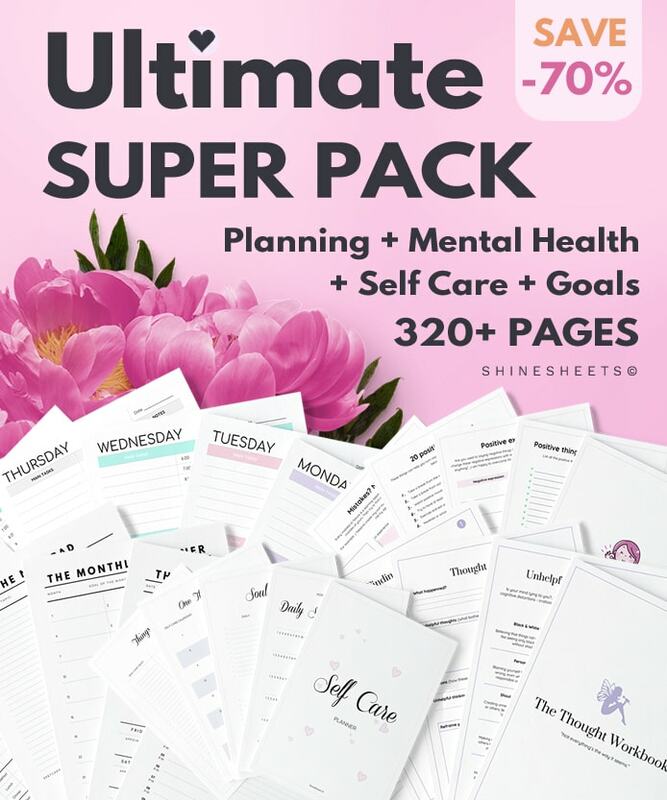 These Super Packs contain great collections that help you target specific areas in your life and improve by taking easy steps, like starting a planner or working on your mental health to become more resilient. 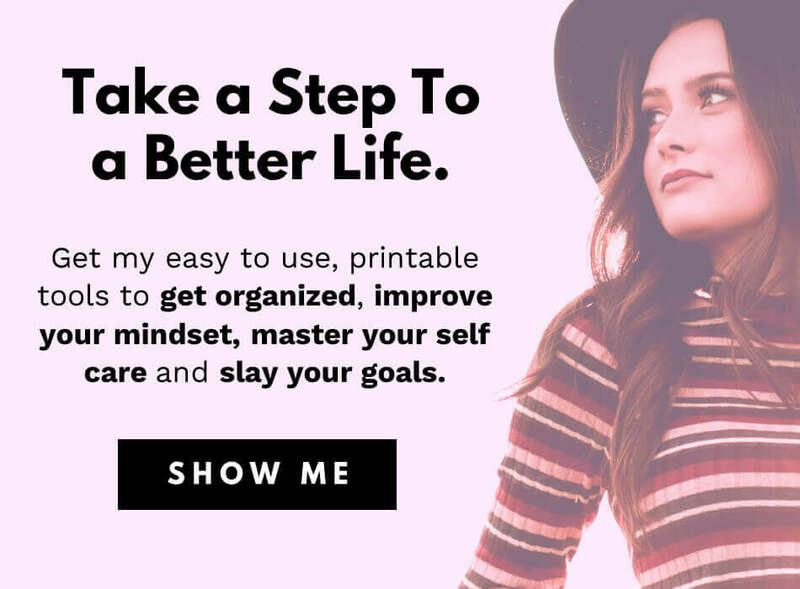 Do you struggle with staying organized & productive? Share your comment at the bottom!